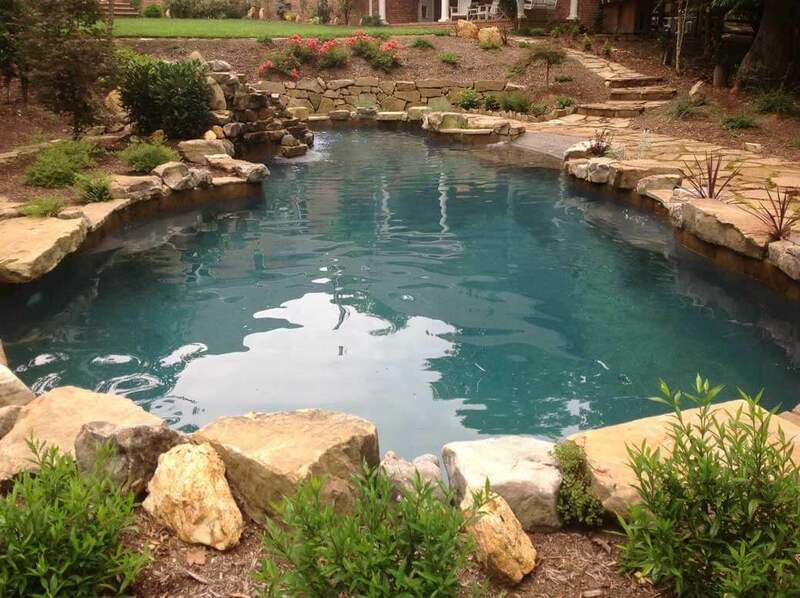 Building new pools, restoring old ones, and creating stunning backyard environments around western North Carolina. Full design and build service so you can take full advantage of the beautiful mountain views. Full restoration of your current swimming pool to give it a brand new look and finish. Landscaping features and retaining walls to help make your backyard your personal oasis. Talk with us today about your swimming pool for your home or business. When designing and building pools in the difficult terrain of the Appalachian mountains, you have to be flexible and creative. At BlueTerra Pool Construction, we can take any situation and run with it. Creativity is in our DNA. We use the natural environment around your property to inspire our designs, which brings out all of the wonderful colors and views of the mountains around you. In terms of materials, we only build inground concrete pools. Not only can we build your swimming pool, we also specialize in natural stonework, decking, and landscaping to help you complete the entire look of your pool area. Natural waterfalls, spas, grottos, and gardens are just of few of the elements we can design and build. 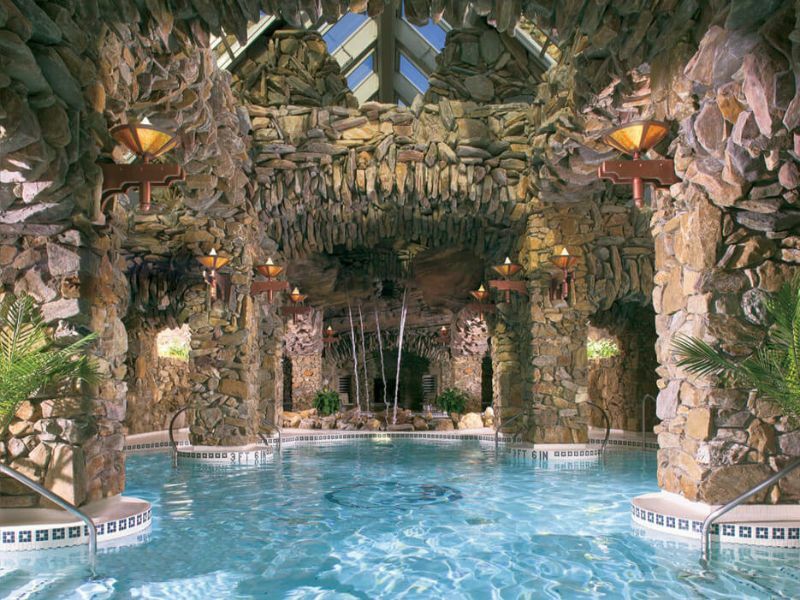 We’ve incorporated these elements into countless homes and businesses around the North Carolina mountains, including the famous Omni Grove Park Inn grotto and spa in Asheville. Our process is simple. Once you start a conversation with us, we will come to you for an on-site consultation and discuss more about what you’re looking for. From there, we go into design, giving you progress reports along the way with full layouts in our 3d modeling software. Once the designs are ready, we move into the build phase to create your new custom pool. 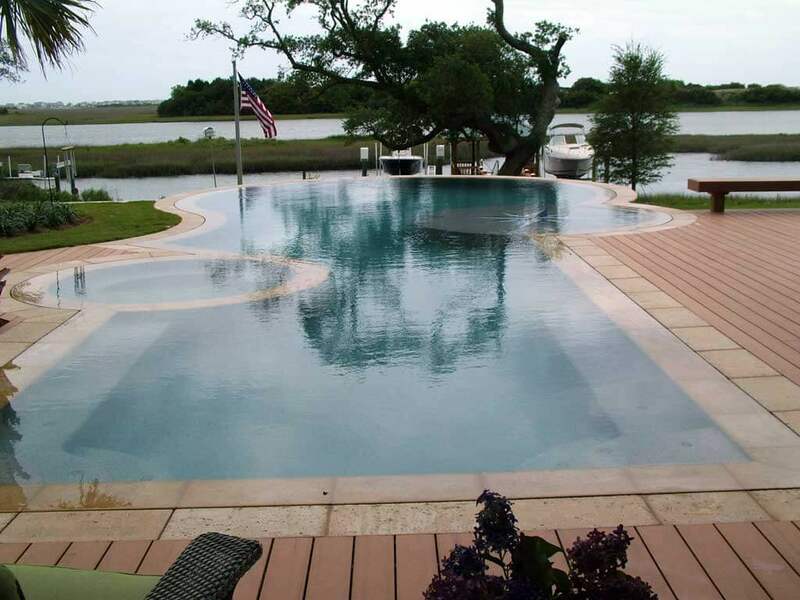 If you already have a inground pool that just needs resurfacing, we can help you as well. We have a wide variety of custom pool plaster finishes to choose from that range the color and texture spectrum. One of our most popular plasters is called Blue Ridge Granite – a natural, yet eye-catching range of colors with a polished, smooth finish. Get the conversation started and give us a few details about your swimming pool project. We think you’ll quickly find out that we are the right pool builders for the job.